A block of rooms has been set aside for SYSTOR 2019 at the rate of $165 for a Superior room (single occupancy including breakfast). Additional charge for double occupancy - $35. A block of rooms has been set aside for SYSTOR 2019 at the rate of $190 for a Deluxe Carmel room (single occupancy including breakfast). Additional charge for double occupancy - $35. 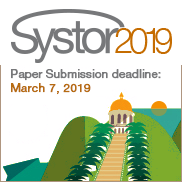 A block of rooms has been set aside for SYSTOR 2019 at the rate of $157 for a standard room (single occupancy including breakfast). A block of rooms has been set aside for SYSTOR 2019 at the rate of $125 for a standard room (single occupancy including breakfast). When you contact the hotel of your choice, please indicate the name of the conference (“SYSTOR 2019 – IBM”) to obtain the conference rate. For any additional information or assistance, please feel free to contact the SYSTOR local organizer Iris shimon or the general chair Moshik Hershcovitch.